Put a twist in your style by wearing this T-Shirt from the house of Allen Solly. Featuring a polo collar, it also comes with short sleeves that accentuate its design. 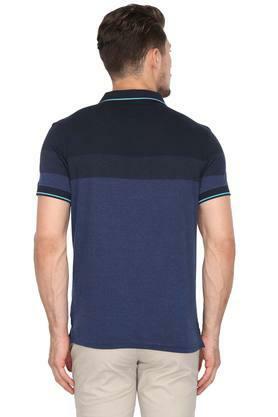 Moreover, it features a colour block pattern that renders it stylish. In addition, it has been made of a fine quality fabric, which makes it comfortable to wear. 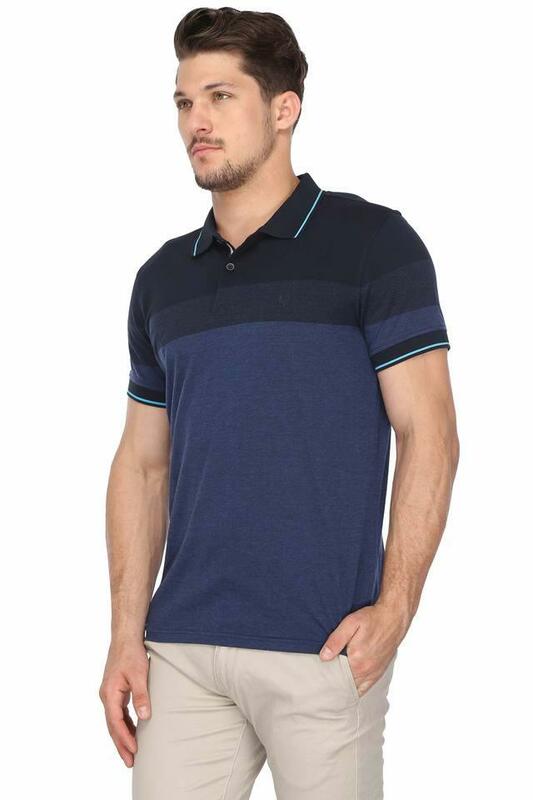 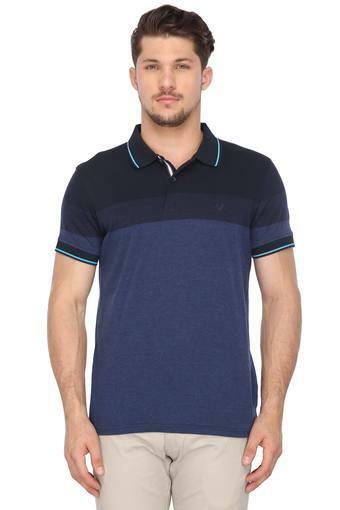 Stay comfortable all day long by wearing this polo T-Shirt, which has been made of a fine quality fabric. 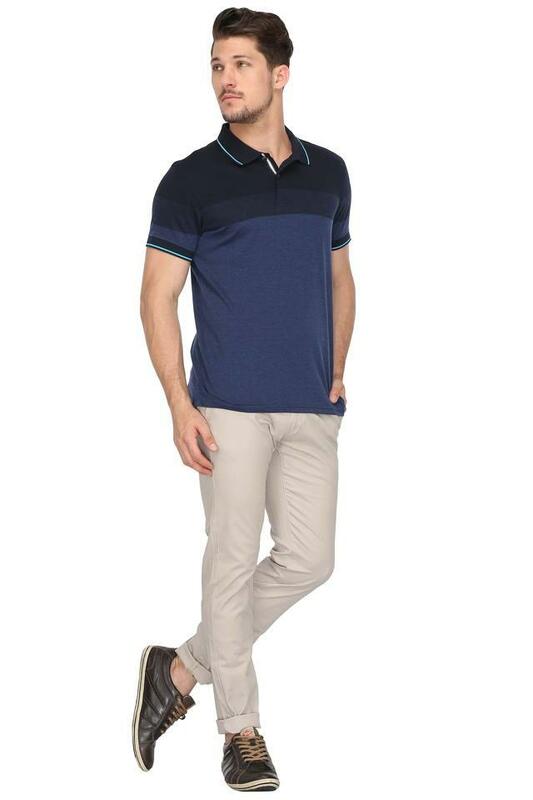 Team it with a pair of jeans and canvas shoes to complete your casual look.